Today, Media Create shared their weekly report on video games sales in Japan. It reveals that Software sales topped 594 000 units, which is 53.26% of Week 1 sales. That massive drop was expected, due to the end of the holiday season. Hardware sales were not spared: they dropped to 104 000 units (29.84% of Week 1 sales). But despite that drop, the market is still significantly up Year on Year, Software-wise (123.29% of Week 1 2018 sales). On the other hand, Hardware sales are flat (101.13% of Week 1 2018 sales). Most of that increase is due to the Nintendo Switch, with Hardware and Software sales up Year on Year by a wide margin. Nintendo’s console is, once again, pulling the market up. 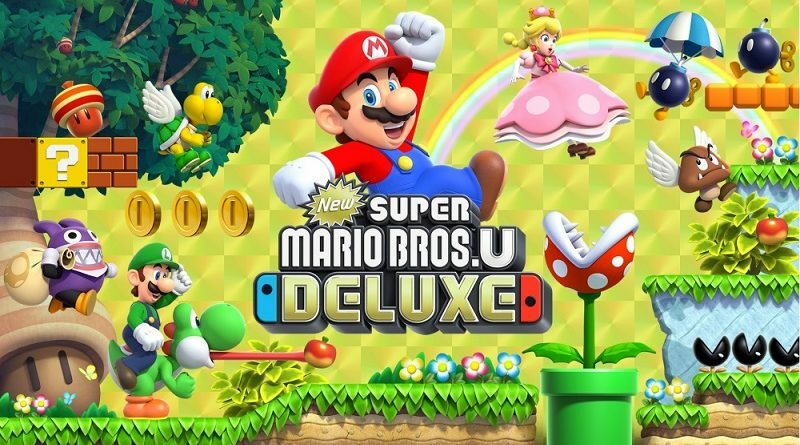 New Super Mario Bros. U Deluxe did pretty well at launch, with 166 000 units sold. Both Nintendo and retailers were prepared and shipped / ordered enough copies to meet demand: sell-through ratio is 52.53%. While this may seem quite low, it’s really no big deal as retailers will have absolutely no trouble selling the remaining copies within the next few weeks. In comparison, New Super Mario Bros. U sold about 166 000 units at launch (which also happened to be on the Wii U launch day). In other words, New Super Mario Bros. U Deluxe outsold it… not bad for a port (which usually sell a significantly lower amount the original version, especially without much new content), and outside the holiday season (the original was released in December). The sell-through ratio is quite similiar: 55.32%, which shows that retailers see Mario as a “safe” value, as something they know will sell no matter what. No data this week, unfortunately. Dengeki report that New Super Mario Bros. U Deluxe is the one game that managed to make Super Smash Bros. Ultimate drop from the top spot of the Top 50, that it had been monopolizing since launch. They report higher sales than Media Create: about 179 000 units, with a higher sell-through ratio (60%). While this may seem a bit low (it certainly is by New Super Mario Bros. standards, but that’s a remake for you), 2D Mario platforms have consistently sold over 1 million units, so there’s really nothing to worry about with this one in particular. As for Tales of Vesperia: Definitive Edition, it sold about 80 000 units at launch, with about 28 000 units on Nintendo Switch (46 000 units on PlayStation 4). The sell-through ratio is quite good: 80%, which is a positive as JRPG always tend to sell the most during the first couple of weeks (what’s more, past Tales of games have seen a sharp drop during their second week, reaching over 90%). Unfortunately, Dengeki do not provide sell-through for each version individually, which would have been an interesting metric given the shortages the Nintendo Switch version suffered (and is still suffering) from. Finally, Super Smash Bros. Ultimate sold 67 000 additional units, bringing total sales to 2.74 million units. This week, Dengeki also shared data about the holiday season (no dates provided, but presumably November 1st to January 6th like last week), with the market share of the various publishers. To say that Nintendo dominated sales is quite the understatement: the company overwhelmed the competition, with a 50.4% market share. In other words, over 1/2 of all games sold during the holiday seasons were all from Nintendo… and that doesn’t even include Pokémon games, published by The Pokémon Company in Japan! Of course, that great performance is mostly due to the equally great sales of Super Smash Bros. Ultimate. Speaking of Pokémon, The Pokémon Company was the second most successful publisher, with a 16.1% market share. Bandai-Namco is 3rd with 6.5% market share earned thanks to God Eater 3 and Taiko no Tatsujin: Drum ‘n’ Fun. Square-Enix is 4th, with a 5.2% market share (thanks to Dragon Quest Builders 2), while SEGA is 5th with 3.4% (thanks to Judgement). Combined, the Top 5 publishers account for about 80% of total Software sales during the holiday season, leaving only scraps to the others. It’s the 3rd year in a row that the market is on the rise during the holiday season, and looking only at raw numbers, it does seem like a satisfactory result. However, the reality is quite different for the other publishers, especially those that did not have a major hit to carry sales.